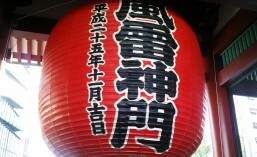 A Trinidadian's peek into Japan. 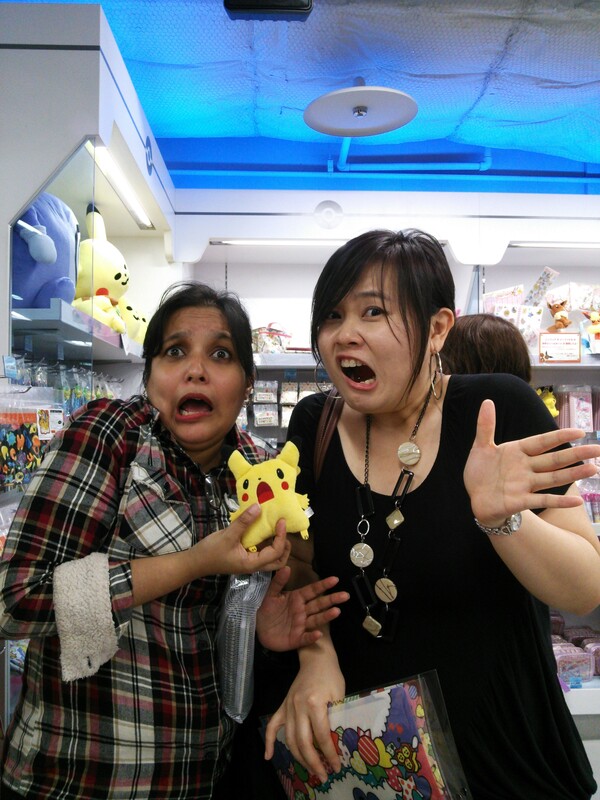 Having fun at the Pokemon Centre in Esta Plaza, Sapporo. Although Hokkaido is a long way from Akihabara – the Electric Town that is heaven to many lovers of anime, manga and cosplay – it does not mean that you cannot get that Pokemon fix you most desperately need. 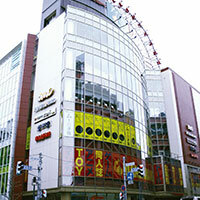 Surprisingly, Sapporo is home to a number of stores that are dedicated to all things for the anime / manga / cosplay otaku. 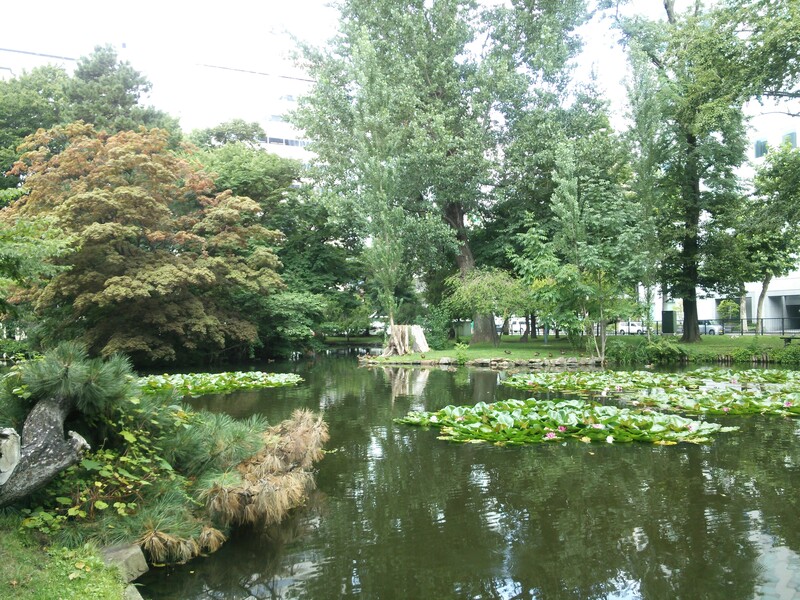 Look no further from the Sapporo train station to the Esta Plaza . One of the floors of this giant multi-tiered mall is dedicated to all things anime – from Naruto and One Piece to Pokemon. Even the games that they have for young children are adorable – especially the huge sand box that would simulate the feel of a beach and fulfill the desire to build a sandcastle in the middle of winter. Another store to look out for is ‘Mandarake‘. It is a popular chain of anime stores all across Japan – and luckily there is one in Sapporo! This store has everything for every type of otaku! One day is definitely not enough to see all that this store could offer: original sketches from some of your animes, limited edition figurines and art, cosplay outfits as well as long lost forgotten treasures that only past generations could truly appreciate. Need help to find a particular item in this vast store? No problem! Just ask one of the many assistants who are FULLY dressed with makeup as popular characters from anime and manga. Another popular chain of stores is ‘The Village Vanguard’. Sure, it may not be the typical anime otaku store, but you are guaranteed to find at least one thing there that appeals to the collector in you. It is actually a quirky store that offers a lot of novelty items that are considered ‘retro’. Little toys like ‘Smurfs’ circa the 1980’s are still available here at an affordable price! This was also one store where I could find Coca Cola memorabilia as well as some funky items that you could not find anywhere else. There are also some hidden stores that could be found in the underground mall of the station (which extends quite a few blocks from the station underground) that have all of those figurines, DVDs, manga and cosplay that you so desire. You just have to be patient, wear sneakers and be sure to visit a few times to be able to really see where it is. Or, you could ask some of the local persons of where to find such stores. Usually, these stores are smaller . . . but do not be deceived! They still offer a good variety of stuff at very good prices! And on another note . . . DO NOT DISCOUNT your local convenience store and toy store! You would be surprised to see some of the latest anime figurines that are available for a limited time only. But, if you do decide to undertake this trek in Sapporo, BE WARNED! For a person who is not familiar with massive crowds, huge multi-tiered malls and an intricate network of closely woven malls, stores and roads with gigantic lit signs – the experience could result in sensory overload and disorientation. Be sure to research the places that you would like to visit before going. Get maps and be sure to keep your mobile (with an installed map app) with you at all times. Read signs! Most of the signage in Sapporo are in English. If you do become lost, enter a nearby store, police box or reception area of the mall and ask questions. If you are still unsure, ask them to draw you a map with landmarks. But the best way to venture out at first would be with a group or with a couple of persons who know the area. This would give you the chance to familiarize yourself with the area,the stores and offer guidance with directions to the places of your pleasing. It will also provide a support system and security if the group becomes lost. So, rest assured that you could indeed find some semblance of Akihabara in Sapporo! Our orientation for the JET Programme took place in Shinjuku. But for those of us who were supposed to work in Hokkaido, another orientation and conference was organized for us by HAJET (Hokkaido AJET). That meant two days of training and seminars in none other than Sapporo. 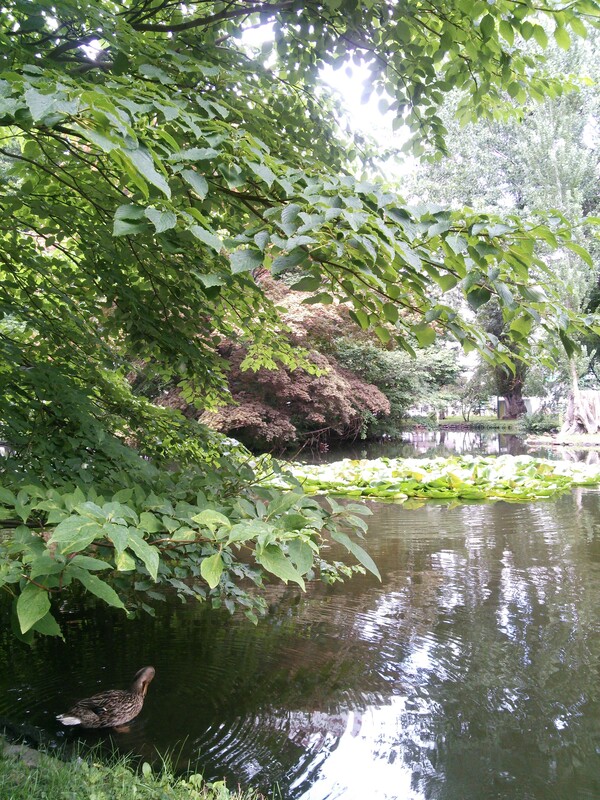 Very blessed that Iwamizawa City itself is just about an hour by bus or 45 minutes by train. 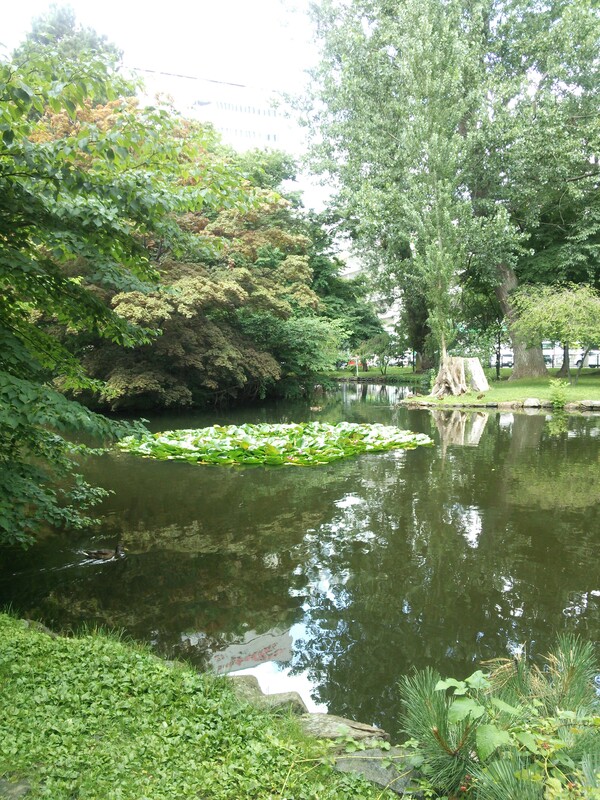 Even within the city, this beautiful oasis was found in the park at the heart of Sapporo. I’m searching for . . .